The main difference between elk and moose is that elk has long brow tines, distinct main beam and points in its antlers whereas moose has palmated antlers, and tines protruded from the edges. Elk and moose are two of the biggest types of deer. Deer live all over the world except Australia and Antarctica. Moose is the biggest and the most popular deer. Elk is the second largest deer. Males of both elk and moose are called bulls while their females are called cows. Moose have a dark blackish brown body with lighter white-gray legs. Elk have a reddish to light brown body and dark legs. Elk is a large deer with brownish-red fur and large antlers that lives in the forests of North America. It is also called wapiti in Europe. Elk lives in mountainous forests in North America and East Asia. It can live in desert and semi-desert areas in America as well. Around 1000 individuals can be found in their herds. Shaggy necks are one of the major characteristics of the elk. The color and thickness of the elk’s coat depend on the climate. In general, they have dark necks and pale rumps. 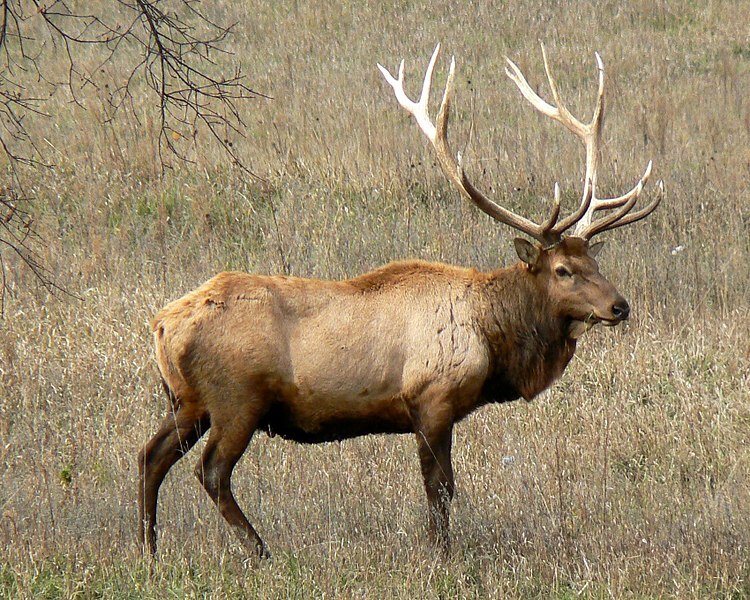 The sound of the male elk is a loud and high-pitched bugle. Moose refers to the largest extant species of deer with broad, flat antlers. In Europe, moose is called elk. Moose prefer to live in temperate forests and cool climates. Hence, they are found in the Northern areas of America, Canada, and Alaska. They also live in some of the regions of China and Russia. The two characteristic features of moose are the flat, wide antlers and the strange-looking, bulky face. The coat color of the moose is generally blackish brown. Elk and moose are the biggest types of deer. Both belong to the family Cervidae. Male elk and moose have antlers. They both can live in moderate climates. Male elk and moose are called bulls while their females are called cows. They are both hunted for their meat and antlers. Elk has pointed antlers while moose has palmated antlers. 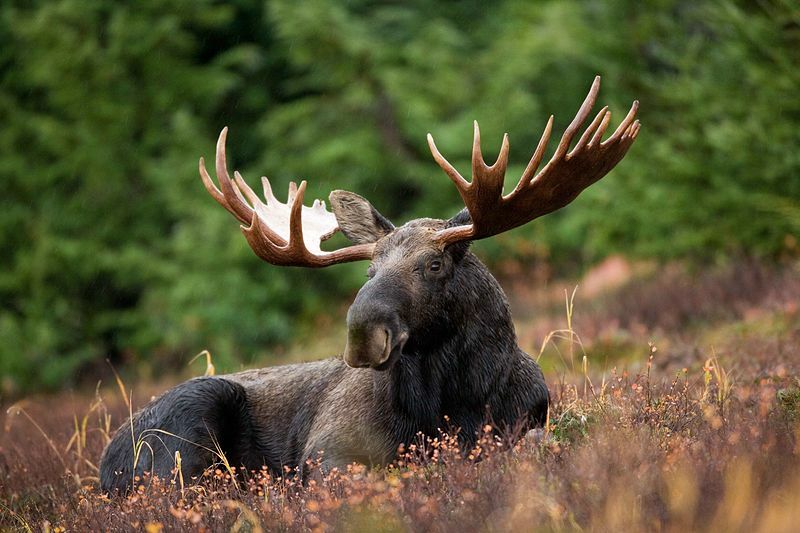 Moose is the largest species of deer while elk is the second largest. Elk has shaggy and dark color neck. Moose is dark brown in color. The main difference between elk and moose is the shape of antlers. 1. “Elk Facts.” Elk Network, Rocky Mountain Elk Foundation, Available here.